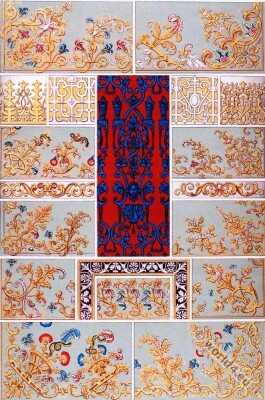 Flemish damascene, Embroidery Designs, 17th Century. Home » Flemish damascene, Embroidery Designs, 17th Century. A variety of tapestry, drapery, and damascened designs that date back to the 17th century baroque era. 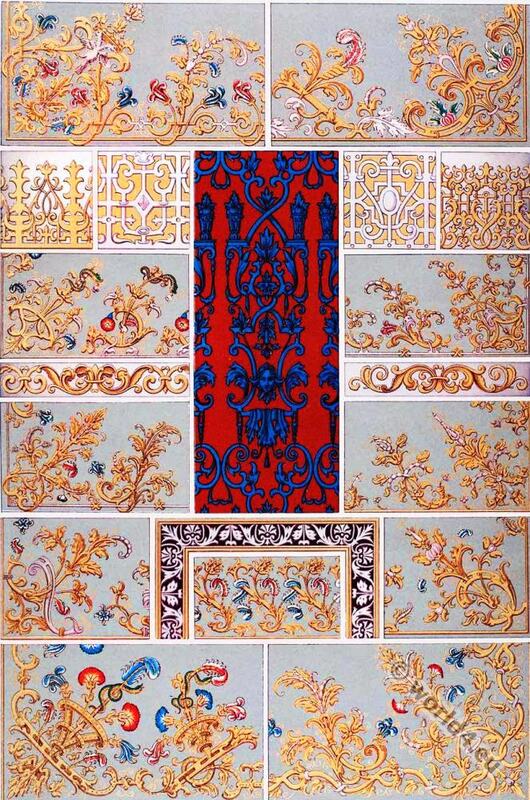 Leather design from the Cheverny château. Wooden panel inset with tin, from Touaine. 3, 4, 5, 6, 7, 8. Flemish damascene. This entry was posted in 17th Century, Baroque, France and tagged Baroque era, Embroidery designs on 9/8/15 by world4.